Hu-Friedy's Symmetry IQ 3000 features a lightweight, ergonomically balanced handpiece with fiber-optic lighting for enhanced visibility. Touch-pad controls and memory feature allow for more efficient patient treatment. The S10 Universal, 100 Universal and USP tips are included in the Symmetry IQ 3000 unit kit. - Modular plug and play design provides convenient serviceability of unit and eliminates the cost and inconvenience associated with sending the unit out for repair. - The smooth surface simplifies infection control procedures and minimizes the risk of cross contamination. - Fiber-optic illumination reduces eye strain and enhances visibility. - The large diameter ergonomic handpiece relaxes hand grasp for accuracy and control, eliminates pressure points and improves tactile sense. - The lightweight handle reduces muscle strain and hand fatigue, enhancing clinician comfort. 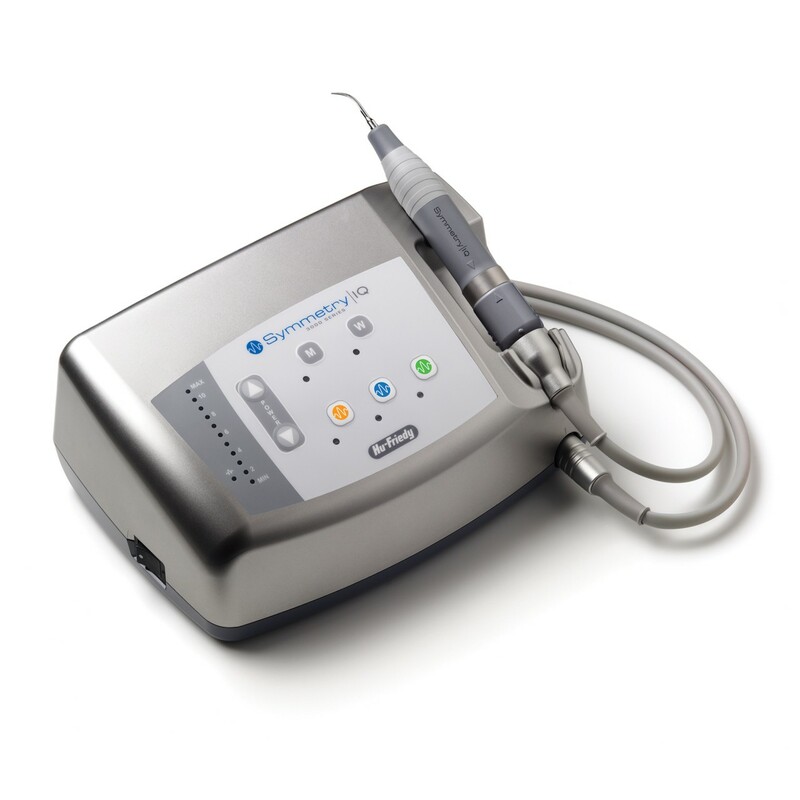 Click the button below to add the Hu-Friedy Symmetry IQ 3000 Piezo Scaler to your wish list.